Our pets are our family, and when summertime rolls around, all we can think about is being outdoors and soaking up some rays. If you’re like us and shed a tear every time you leave your fur baby at home, fear not—we’ve come up with a list of pet friendly activities that you can do with your pet so that both of you can enjoy the summer sun without a guilty conscience. 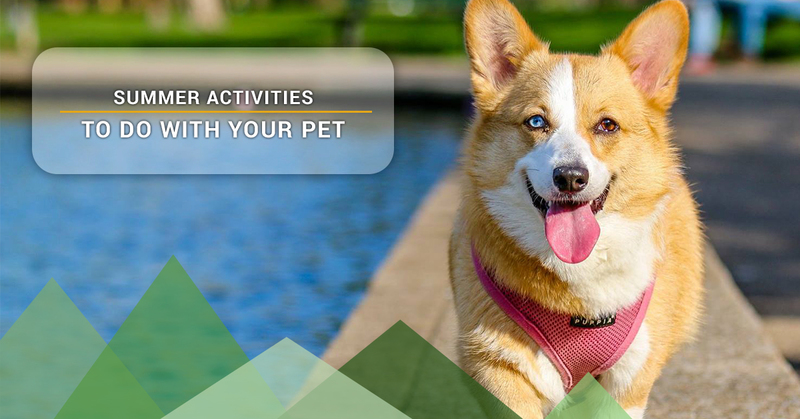 Admittedly, dogs are the easiest pets to welcome into your summertime activities, but if you get creative, there’s no reason you can’t treat your hamster, snake or kitty to a day of summer fun. Is there a better time than summer to get active and go for a hike? Is there a better hiking partner than your dog? If you are someone who likes being in nature, exploring new outdoor activities and wants to be pushed during a workout, a hike with your pup is the perfect summertime venture. Dogs never seem to tire during hikes, which is why they are the perfect companion if you ever need that extra encouragement to reach the summit. Plus, a tired pup is a happy pup, and the two of you will enjoy your relaxing night together after the hot, strenuous, physical and fun day. Think about how many toys your dog has. A lot, right? Gather up all of your pup’s toys and create a treasure hunt for her! If you don’t feel like leaving your house, hide the toys in random places around your yard or home. Be sure to include one or two treats in the same location as each toy for a little extra incentive. This will be a fun and engaging game for your dog to focus on while you sip on a little lemonade or finish up some lingering yardwork. Like most humans, the fastest way to a dog’s heart is through their belly—we all know this. Even the most well-behaved dog stares at you during dinner, hoping a bite of your juicy pork chop will hit the ground and be hers for the taking. For us humans, summertime means it’s time to pull out the cool treats—popsicles, ice cream, lemonade and more. But what about your dog? Well why not invite them to the cool-treat party, too!? Creating your very own batch of “pup”-sicles is beyond easy. There are recipes galore, online, for homemade pet treats or you can do something as simple as freeze watermelon chunks as a tasty, cold treat for your fur babe. This way you can both hang out in the sun without overheating. If your dog loves water, this is a must on your list of pet-friendly summer activities. If your dog shies away from baths and trips to the ocean, skip this activity and move on to the next. We recommend setting up a sprinkler or kiddy pool somewhere in your backyard for your pup to splash around in. If your dog is unfamiliar with the logistics of a sprinkler, throw a ball back and forth throw a ball through the sprinkler to play catch. This game may also result in a lot of mud, which is something to prepare for if you keep the sprinkler in one spot for a prolonged period of time. If you do set up a kiddy pool, make sure you are frequently checking the water temperature so that your pup doesn’t boil and turn into a lobster. There are so, so many dog friendly parks throughout the city, it’s impossible to name them all. But if you and your pup are in need of a little socialization, find the perfect park and head out for a walk! Whether your dog is young or old, it is always important for dogs to socialize with dogs and humans outside of their immediate circle. Make sure you are familiar with the park’s rules regarding leash regulations and don’t ever forget to pick up after your dog. Many parks provide “poop bags” for easy your use, but we always recommend bringing your own, just in case. The absolute worst dog park etiquette is to not clean up after your dog—either someone else will have to pick it up, or worse, someone will step on it and be haunted by the lingering smell all day. More and more restaurants are becoming dog friendly, and when it comes to summer, patio dining is the way to go. Again, do your research before you head out for dinner, but when you do find the perfect spot, head over! It’s important to make sure your dog has good manners before you decide to dine-in because behaviors like begging, jumping up and barking are unacceptable, even at a dog friendly restaurant. If you’re worried about or question the predictability of your pup’s manners, order some takeout instead and head to your favorite dog park. You’re still able to dine with your dog, but now she has the freedom to run and play while you inhale your shredded chicken tacos! You’re tired of Netflix-and-chilling with your dog, but you still want to watch a movie and eat popcorn with your furry friend. The struggle. If you find yourself in this predicament, head to the drive-in! During the summer nights, it is still way to nice to spend time indoors and the drive-in movie theatre is the perfect solution. Whether you’re looking to create a cushy seat in your truck bed or set up a few camping chairs vehicle-side, your dog will love spending time with you, away from home. If you plan on staying through both flicks, make sure you have brought enough water, food, treats and poop bags so that both of you can enjoy your date without having to stress about running out of something. A little research may be necessary here, just to make sure the park you are hoping to camp at actually allows dogs. Many parks do, but it would be terrible for you to drive all the way to your favorite site only to find out dogs aren’t allowed. Also be sure to follow leash laws when you do get to your spot—it will make a more pleasant camping trip for your family and for those around you, too. When you are getting your gear together for the trip, don’t forget to pack everything your pup will need to camp. This includes, dog bed, water and food bowl, collar, leash, food, plenty of water and toys. Here at Rancho Regional Veterinary Hospital, your pet’s well-being is our priority. While we want to make sure you spend an amazing summer with your fur baby, also remember to take the proper precautions to ensure your pet is properly hydrated and healthy enough to participate in strenuous outdoor activities. 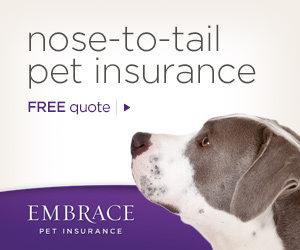 For more information, or to schedule an appointment at our pet clinic in Rancho Cucamonga, give us a call today!